There’s no doubt about it, mid size pickup trucks are becoming more popular every day. These trucks offer great hauling capabilities and can handle all types of terrain. Many people desire the usefulness and versatility of a pickup truck but do not want to drive something as large as a full size model. With compact pickup trucks being smaller than what many of these drivers are seeking, mid size pickup trucks are the perfect solution. Gone are the days when pickup trucks were just basic means of conveyance for hauling all sorts of objects and materials. The ride provided by lots of older pickups was frequently bumpy and noisy and the cabs featured bare bones interiors with virtually no accessories or amenities. Among the reasons why mid size pickup trucks are growing in popularity are they are fun to drive, practical and loaded with features. Most of today’s mid size pickup trucks come with a multitude of features that were previously available only with pricier automobiles. Mid size pickup trucks are now generally available with regular cabs, double or crew cabs and extended cabs that feature smaller rear-hinged doors. Crew cabs and extended cab trucks are popular with families with children because of the extra seating area and cargo space that are available. Some of the standard features on many of today’s mid size pickup trucks include air conditioning, carpeting, bucket seats, power steering, tilt and telescopic steering wheel and AM/FM CD player with CD MP3 Playback stereo. Perhaps tying in with an increasing sense of DIY among people of all ages, mid size trucks are appealing to and being purchased by men and women of all ages. 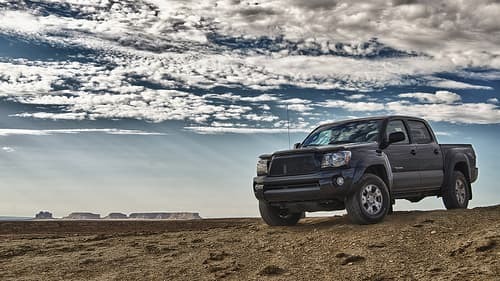 In years past, women would often drive their husband or partner’s truck, but in recent years women have increasingly been purchasing their own mid size pickup trucks. 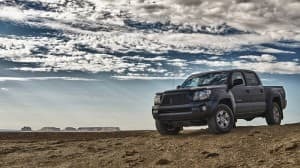 Some drivers like the sense of on-road security provided by mid size pickup trucks and enjoy the sensation of sitting higher than most cars in traffic. Today’s mid size trucks are also usually loaded with an array of safety features. From college students to retirees, drivers everywhere are enjoying the practicality offered by mid size pickup trucks. Most mid size trucks are now equipped with 12V power outlets and many feature USB connections. Most of the mid size pickup trucks available today offer good gas mileage figures and their base prices are competitively reasonable.